Resurrection in Paul: Cognition, Metaphor, and Transformation. ECL 19. Atlanta: SBL Press, 2016. The centrality of the body in Paul’s resurrection ideals has not been lost on modern scholarship, though it has been improperly emphasized. Too often, this somatic focus is configured along literal and metaphorical lines. The realism of future resurrected bodies is emphasized while the metaphoricity of present bodily transformation is understated. Drawing on cognitive linguistics, this fresh and innovative study re-centers this interpretive imbalance. 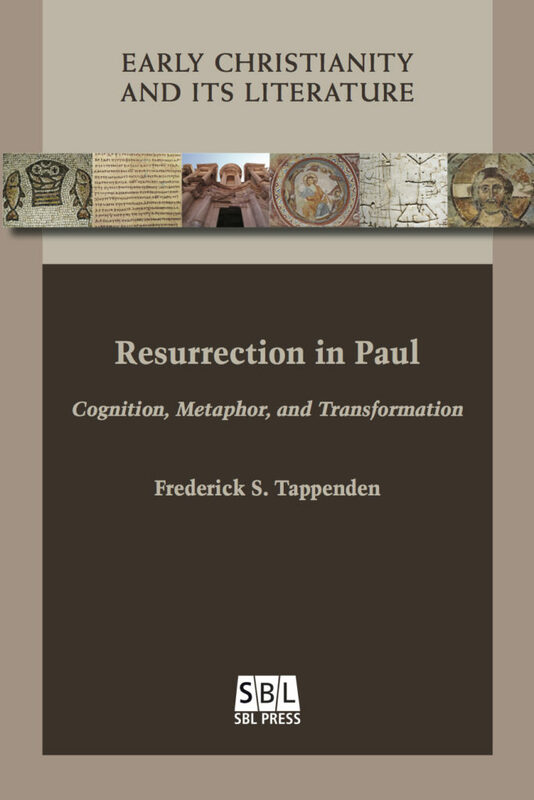 By eschewing the opposition of metaphor and realism, Tappenden explores the concepts and metaphors Paul uses to fashion notions of resurrection, and the uses to which those notions are put. Rather than asserting resurrection as a disembodied, cognicentric proposition, Tappenden illuminates the body’s central role in shaping and grounding the apostle’s thought and writings.